If you have blurred vision, problem focusing on near or far objects, frequent headaches, or have difficulty seeing at night or adjusting to the change in light, then scheduling an eye exam is in your best interest. It is essential to see an Optometrist for your eye issues before your vision worsens. By scheduling an appointment with one of our skilled eye doctors at Mountain Eye Care, you are taking the first step to proper eye care. Check out below why you should not wait to visit us. We have five highly trained and wholly knowledgeable licensed Optometrists that can perform an extensive eye exam for you. Upon scheduling an appointment at our state-of-the-art optical lab, they will go over your complete personal and family ocular history, discuss the eye issues you are having, and take the necessary measurements of your visual acuity. This will include your focusing strength, colour vision, depth perception, peripheral vision and corneal dimensions and curvature. 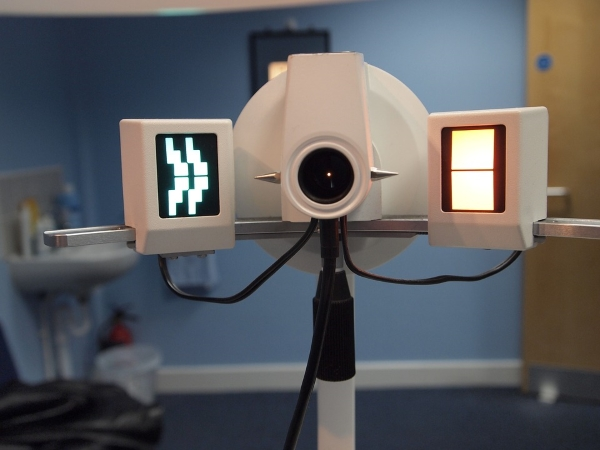 Our eye doctors are also able to take digital photographs of your retinas to check for early signs of disease. They perform this comprehensive set of tests to provide you with a summary of your vision needs, and accurately determine your vision and prescription, or if you need any other form of eye-related care. Once you have seen one of our experienced and skilled Optometrists, and have been appointed an appropriate prescription strength, you can obtain the vision aid you need without leaving our facility. Our store is well equipped with popular brands and high-quality eyewear to suit many different eye-related issues. Glasses and frames, contact lenses, child-friendly products, multifocal lenses, and low vision related devices can all be obtained at our Hamilton location. It is easy to schedule an appointment at our facility to see an Optometrist for your eye issues here at Mountain Eye Care. Our optical lab and store have the experience, knowledge, and product lineup that can aid you in your vision-related needs. All you have to do is visit our facility at 535 Upper Wellington Street in Hamilton, and we would be happy to help! Easily schedule an appointment online, or let us know if you have any questions about our services or product lineup. Please click here to find our contact information and get your eye exam underway today!